Are you willing to settle for a mediocre life? I’m not. I urge you to be bold and live your life with purpose. 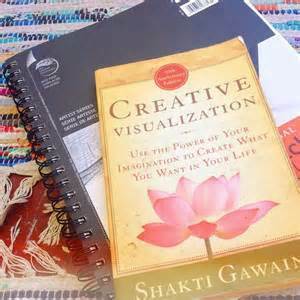 Years ago I read a pivotal book in my journey, “Creative Visualization” by Shakti Gawain. The essence of this book and later others like “Think and Grow Rich”, “The Secret” and many more is that we all have a tremendous amount of self-doubt, fear, and negativity that stops us from fulfilling our potential to be happy, successful, healthy people. 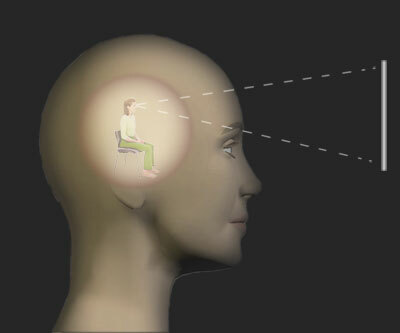 However the great news is that we can reverse these powerful downers by using our imagination to create a vision of the present and future that then manifests into reality. The law of attraction starts with creative visualization and it is possible to create positive life changes by using this powerful tool. Before your scoff at this as some sort of dippy-hippy mumbo jumbo, keep in mind that this technique has been used to create powerful results in business, sports, health, education and relationships for years. Business consultants always recommend that a company starts with creating a mission statement followed by a goal statement. The goal statement tends to be shorter in duration while the mission statement is overarching. The successful football player keeps the vision of getting a touchdown and the team winning the Super Bowl. His mission is to be a top player while his goal may be to achieve at least one touchdown each game. It all starts in the mind. What I’m suggesting is that you do the same. Create a life of purpose and joy by determining what matters to you and then visualizing yourself achieving aspects of this intention. One wouldn’t start a trip without having a destination in mind and then planning the trip accordingly. Why on earth would you want to travel the most important journey – your life – without a wonderful plan? People don’t just happen into an amazing life. If you want to live with passion and purpose, you must have goals to strive toward and then affirm and visualize these goals daily. So how does one start with creating an intention to manifest changes in one’s life? First one has to start with a vision, a dream. Start with fantasizing the future you want – no holding back. If you can dream it, you can achieve it! However, I’ve found it best if my reality creation is a stretch but achievable. For instance I can visualize myself thinner, healthier, more fit (and I do!) but there is just no way I’m going to grow from being 4’11” to 5’4”. So make it something believable but do step outside of your comfort zone. Little goals will create small results. Secondly, you are going to use mental imagery and affirmation to create something powerful so it should engage you and inspire you. What drives you may be a combination of things. Your mission statement has to be something that sustains you and that you feel passionate about. It has to be your why. Why do you want to change? Tired of being unhealthy, lonely, broke? Bored and depressed with where you are? Turn that around and imagine a life filled with endless possibilities. Dream of a life with a supportive family and friends, with the vibrant body that you enjoy, with the material objects you desire, with joyful experiences. You have to see, feel and even taste achievement of this new life. Of course as the picture below illustrates, we all have different motivators. Figure out what motivates you. For some this is easiest to do by visualizing specific achievements (goals) rather than just a grandiose mission statement. 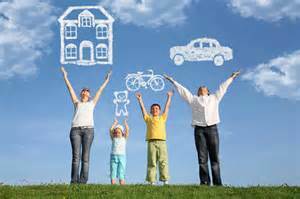 You can break it down to the pieces such as owning your own home,sending your children to college, creating a legacy for your family, getting healthy, purchasing a car, taking dream vacations, etc. Because I’m a big picture person, I find that what works best for me is to create a personal mission statement. l will discuss in a later blog how to hone in and help visualize what your dream life looks like but for now let’s create an overarching life goal statement. I am a physically healthy loving healer bringing wellness and anti-aging to thousands through supplements and weight loss products. I am building my own financial empire using the only vehicle that enables me to do so – Market America. I am a leader of people. My work is my ministry, and I am changing thousands of lives. I can have fun, help people, and get rich while doing so. People are enthusiastically joining my team and they want me to show them how to succeed. I am a wellness champion, a warrior for freedom, an expert recruiter, a winning coach, a caring teammate, and a fearless leader. So as we begin the first day of 2015 and the rest of our lives, what do you want to create next year? 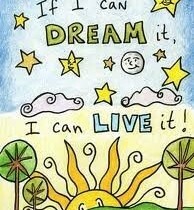 Start dreaming it, create your affirmation to create the life you deserve, and then read it aloud at least twice a day. I do so every morning and just before sleeping at night. 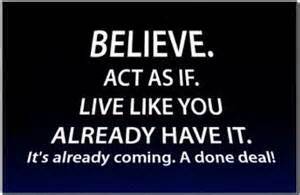 I strongly encourage you to start dreaming the life you want to live and begin manifesting it today! Let’s make 2015 a year of positive transformation and make the world a better place for our being in it. If you are interested in working with me to create your new life, please contact me at dreambigshawn@gmail.com. This entry was posted in Dream Great and tagged building a business, Chucktown Team, creative visualization, daily affirmation, Dream Great, DreamBigShawn, financial freedom, goal setting, goal statement, manifesting intentions, Market America, network marketing, Shawn Phillips, shop.com, The Secret, Think and Grow Rich, unfranchise. Bookmark the permalink.